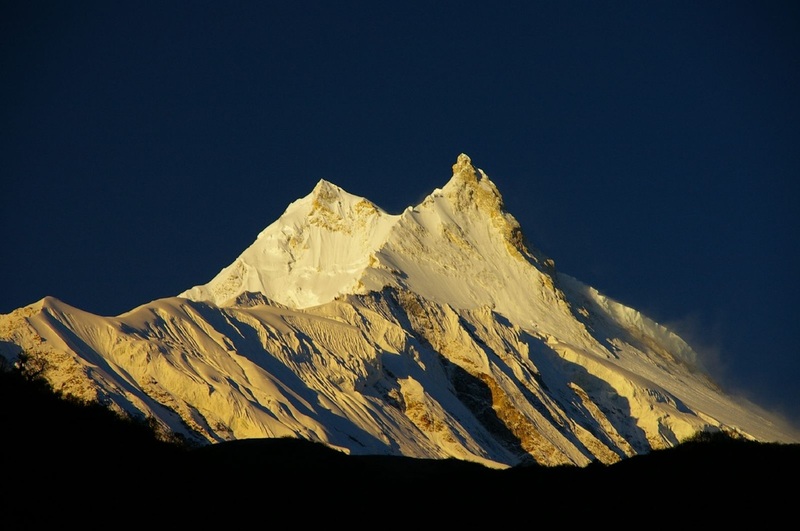 The areas to the east of the Annapurna are the peaks of Manaslu group. Few visitors trek to this area, which makes a visit here all the more unique and unspoiled. The area is bordered by River Budhi Gandaki and to the west River Marshyangdi. This area is marked by two cultural highlights: Gorkha, which is the ancestral seat of the reigning Shah dynasty and the temple of Manakamana. 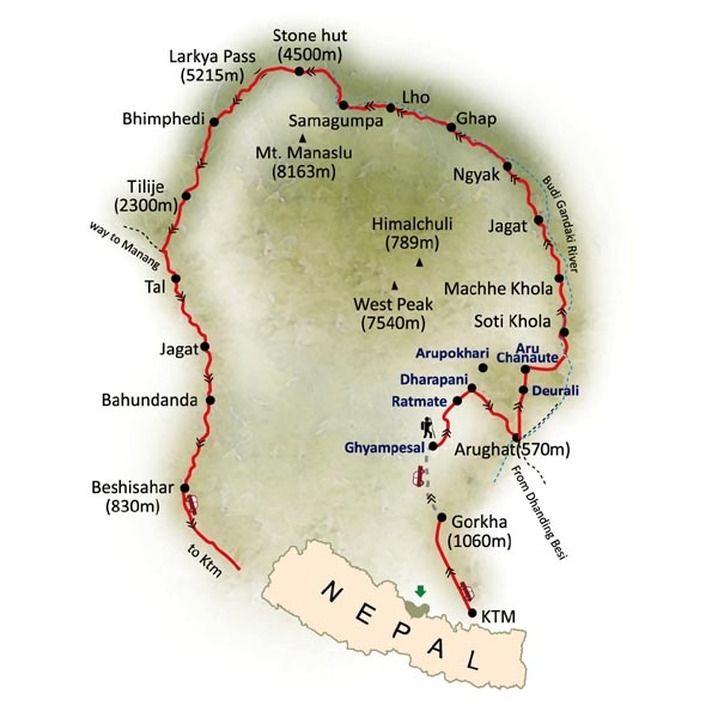 Since the treks in the Manaslu region originate at around 1000 meters and reach as high as 5200 meters, the trekker will see a wide range of flora typical of the middle hills and alpine regions of Nepal. Plants to be seen around here are pine, rhododendron, wildlife include barking deer, pika and Himalayan marmots. Birds to be sighted in the region are pheasant, raven and chough. People of Tibetan origin inhabit several villages. Other groups found here are Gurung and Tamangs. The best time to trek here is between September and May. A few teahouses are seen in the Manaslu Conservation Area; however, teahouse trekking is not a suggested option. Government regulations require all the group trekking to the Manaslu Circuit to be fully sufficient.